A new Pentagon report revealed that the Army's upgunned Stryker units deployed to Europe to counter Russia have a serious vulnerability: They can be hacked. 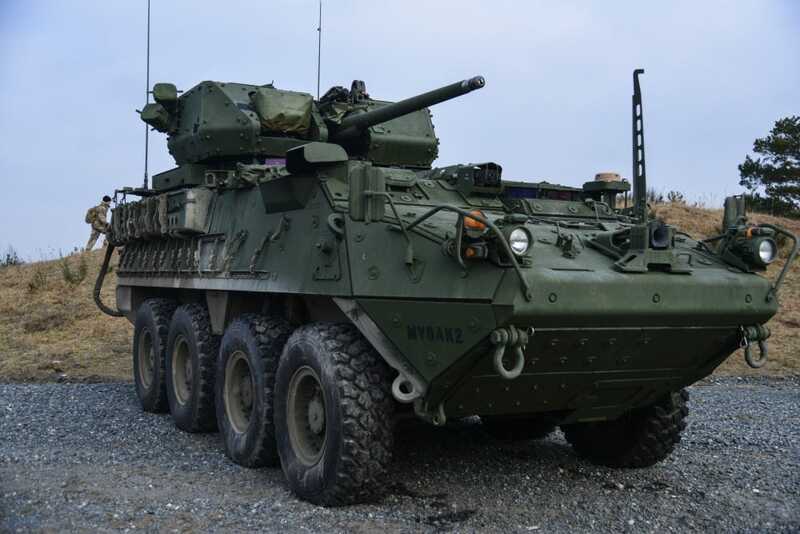 "Adversaries demonstrated the ability to degrade select capabilities of the [Stryker Infantry Carrier Vehicle - Dragoons] when operating in a contested cyber environment," the report explained. Armed with a powerful 30mm cannon, among other upgrades, the improved Strykers were built to bring extra firepower to the battlefield, but a vulnerability to cyber attacks could be a fatal flaw against top adversaries like Russia. The US Army's upgunned Strykers were developed to counter Russian aggression in Europe, but while these upgraded armored vehicles bring greater firepower to the battlefield, they suffer from a critical weakness that could be deadly in a fight. The improved Stryker Infantry Carrier Vehicle - Dragoons deployed with the 2nd Cavalry Regiment in Europe have the ability to take on a variety of threats, but there's one in particular that the powerful new 30mm automatic cannons can't eliminate.